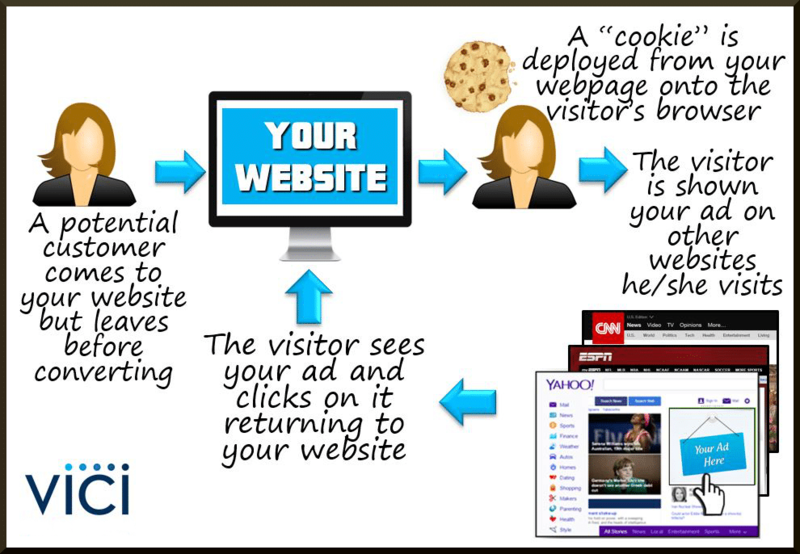 Retargeting is all about converting visitors to your website into customers. It can be done with regular display ads, Native ads, and even Video ads! Your website probably has thousands of visits per week and you maybe get a few leads from those visits. Do you know that the average consumer looks at more than ten websites while researching and looking for a service or product? Why not advertise to these prospects while you can? Retargeting works by installing a pixel onto your web pages so that you can “follow” your customers around the web showing them ads as they browse their favorite web sites. Retargeting is a great way to keep reaching customers who have expressed an interest in your product or business, but have not turned into a lead. RETARGETING GIVES YOU A SECOND CHANCE FOR SUCCESS. Not everyone will convert the first time they are on your website, in fact, only about 2% of visitors convert the first time they visit a website. Why not remind them of their interest, and create a second chance to attract an inquiry or sale? You can even target prospects based on pages they’ve visited by using a special ad designed to reflect their specific area of interest, or by offering, for instance, a special discount or sale price on a particular product they viewed. Contact Vici today for a free consultation on how we can help you get a second chance to make a first impression with a Retargeting campaign.